Matt Rodd has joined our Conveyancing Team. Matt qualified as a Solicitor in 2006. He was a partner in a busy Leeds city centre law firm where he worked for 15 years until recently returning to his roots in Cornwall. 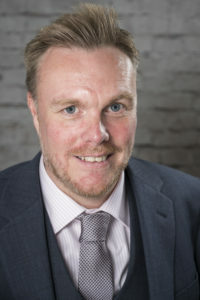 Over the course of his career Matt has gained an extensive knowledge of the residential property market dealing with freehold, leasehold, shared ownership and right to buy transactions as well as new build purchases. Matt has also dealt with numerous complex and high value matters and brings a very client focussed and pro-active approach to his work which is appreciated by his clients. Matt is based in our Penzance office. ← What’s the solution to noise pollution? Are you eligible for a refund of overpaid Lasting Power of Attorney registration fee? Cornish Venning Chellews (CVC Solicitors) is the trading name of Cornish Venning Limited registered in England and Wales (Company No: 05270901). Cornish Venning Chellews is authorised and regulated by the Solicitors Regulation Authority No: 407689. We do not accept service by electronic mail.